In the summer of 2017, Victor Lal created an organization called Canadians for Syria to enable him and his community to raise money for and sponsor Syrian refugees. 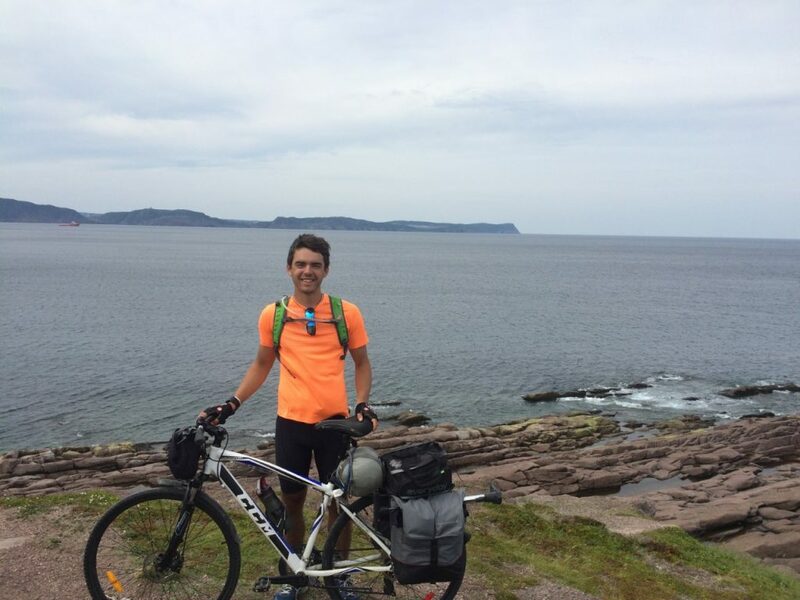 In order to do this, Victor came up with the idea of biking from Toronto, Ontario to Newfoundland. He successfully raised almost $15,000, with help from Fiysabiylillah and the Islamic Foundation of Toronto to reach $30,000, for a Syrian refugee family who will hopefully be coming to Canada in the summer of 2018. After biking halfway across the country, Victor has now set himself a new goal: swimming across Lake Ontario to raise $60,000 for more Syrian refugees. If you would like to help this cause, please visit www.canadiansforsyria.org/donate. This entry was posted in Local Project. Bookmark the permalink.